Nowadays, the usage of email cover letters are becoming more rampant. This is especially true if the applicant’s area of residence is far from the vicinity of the company where they would like to apply. 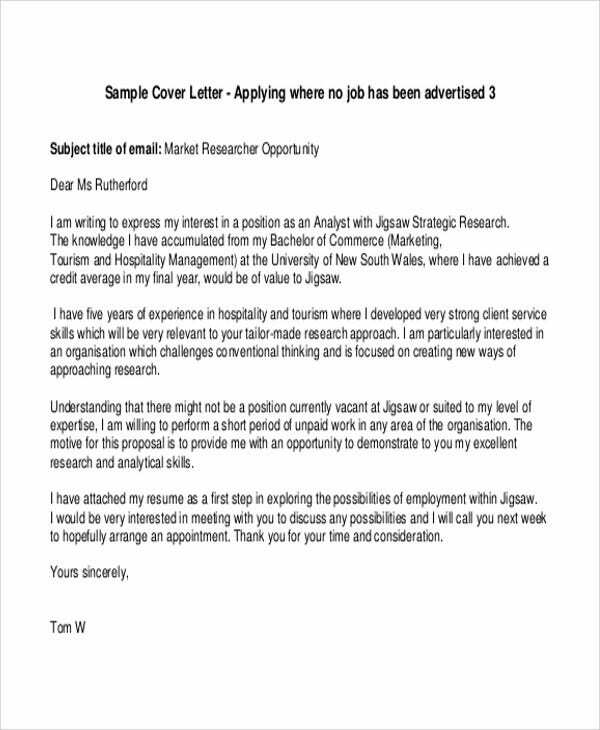 An email cover letter gives you the chance of being called for an interview and getting the job with just a click of a mouse. 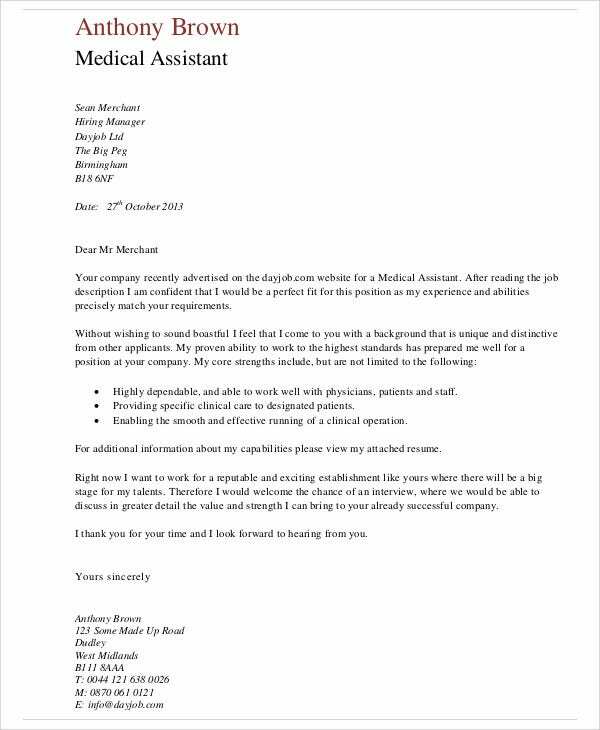 Use our collection of email cover letter templates if you would like to have guides in creating your own email cover letter. Make sure that the Cover Letter Format that you select is appropriate for the job position you are applying for. 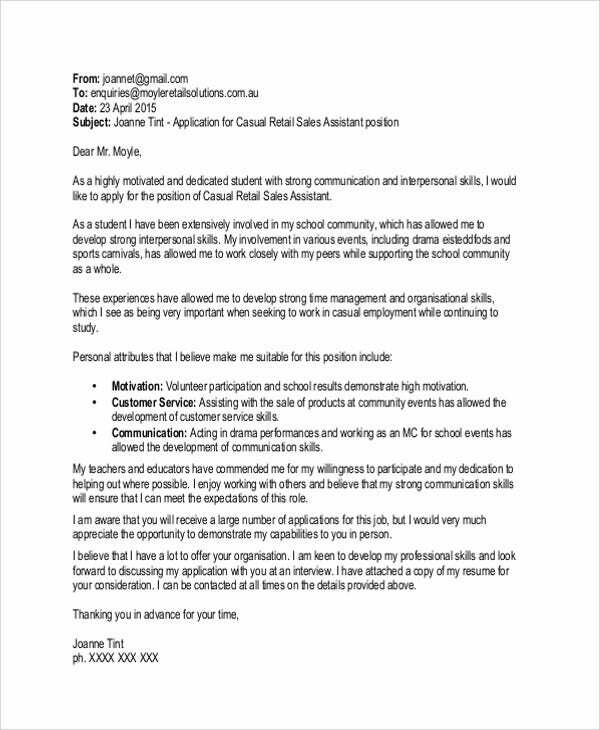 We also have Retail Cover Letter samples available for download. 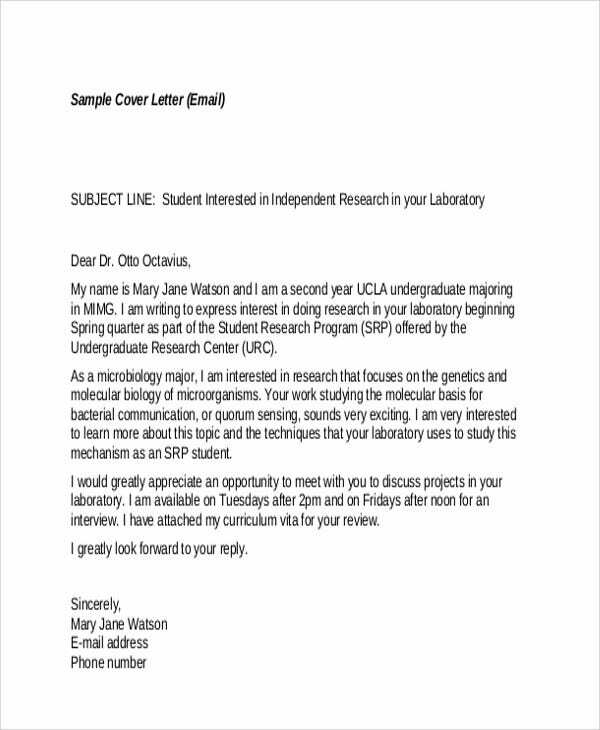 How to Send an Email Cover Letter? Sending an email cover letter can be caused by a variety of reasons. No matter what your reason is, you need to make sure that you can still impress your prospective employer even if you do not physically handed your cover letter document. There are two ways of going about this. 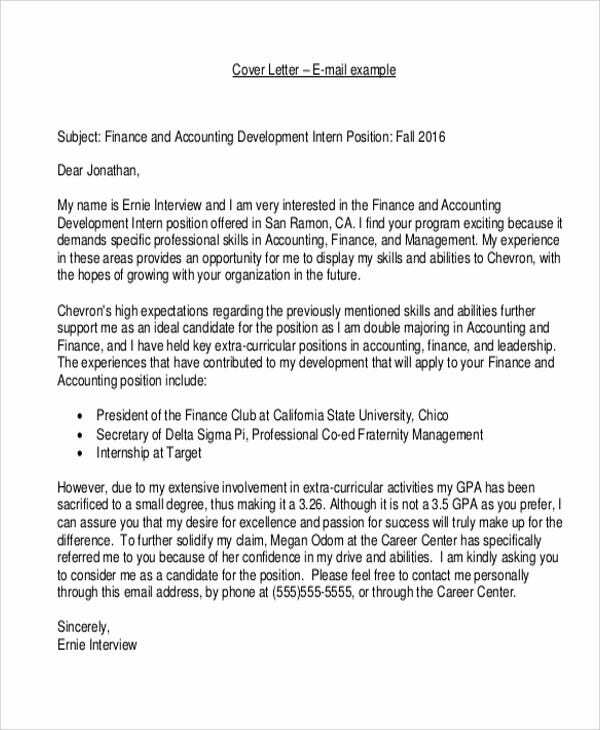 First, you can create an email cover letter in the main body of the email. 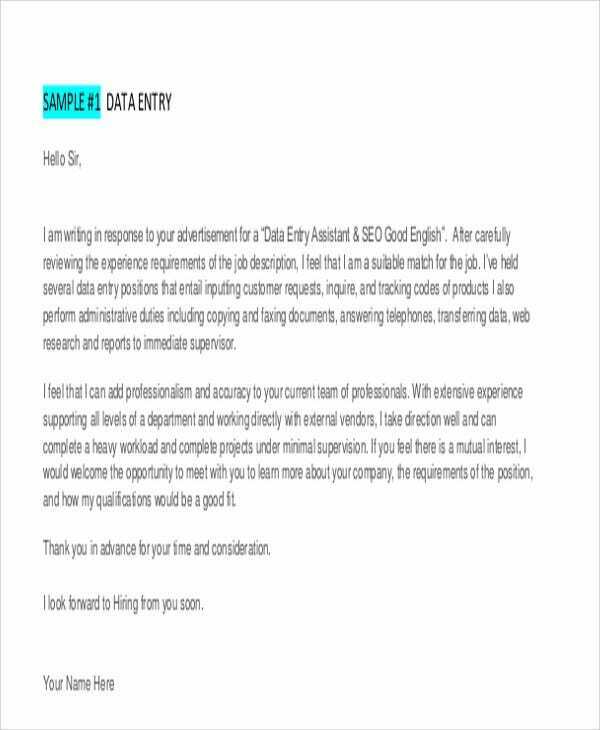 All you need to do is to properly format the email body and provide the information commonly found in a cover letter. 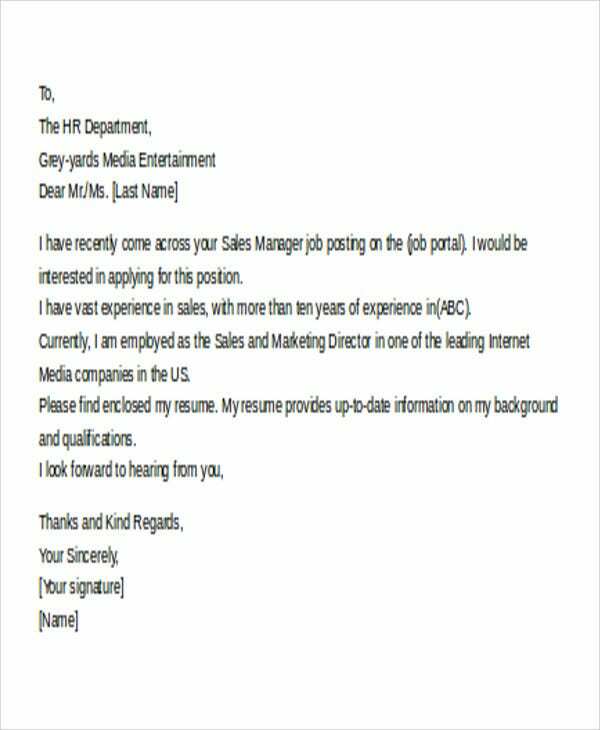 It is very important for you to still follow a letter structure even if you send your cover letter in an email body to maintain the professionalism of the transaction. Second, you can create a cover letter word editor software and save it. Attach the saved cover letter document to your email and create a short introduction about the attachment in your email body to provide your prospective employer an idea about the cover letter attachment. 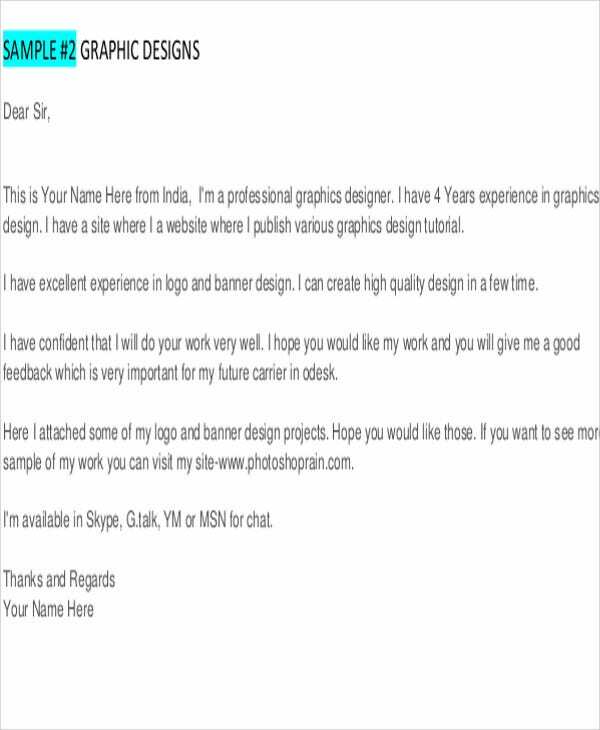 You can use any of our Free Cover Letter Template samples in creating your email cover letter. 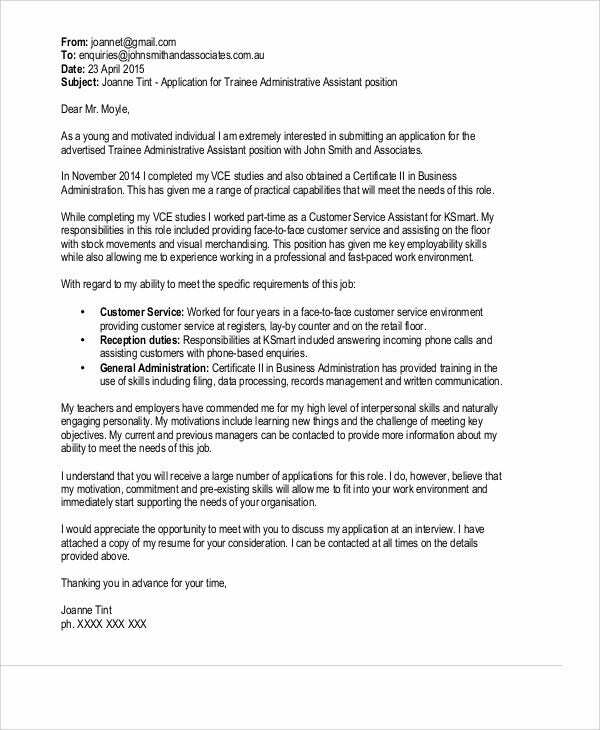 More so, you can also refer to our Resume Cover Letter Template samples for references in creating your professional profile. Organize the information so it can be easily understood. Input information that is based on your real qualifications and actual work experiences. Specify instances in which your skills were applied in order to validate your qualifications. 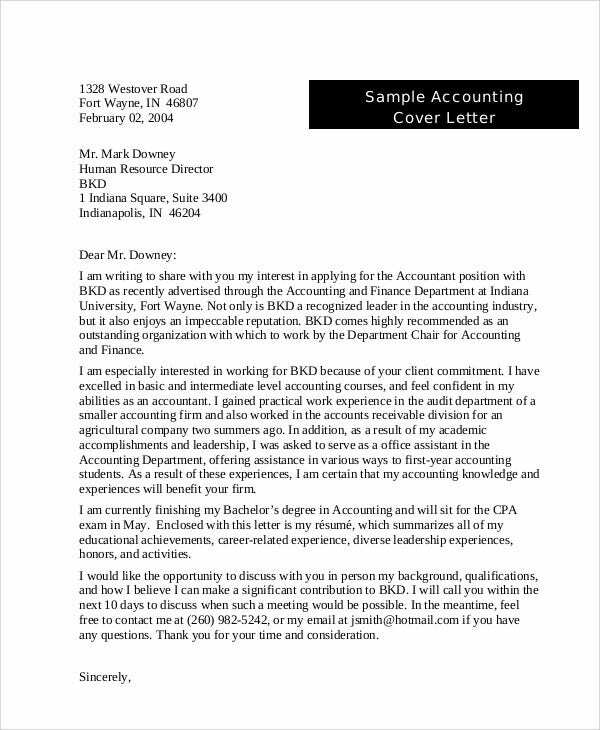 Always be mindful of the format of your email cover letter. Proofread. be on the lookout for lapses in grammar, spelling, and punctuation. Follow these tips and create a comprehensive email cover letter that might just help you in creating the job position that you would like to have. 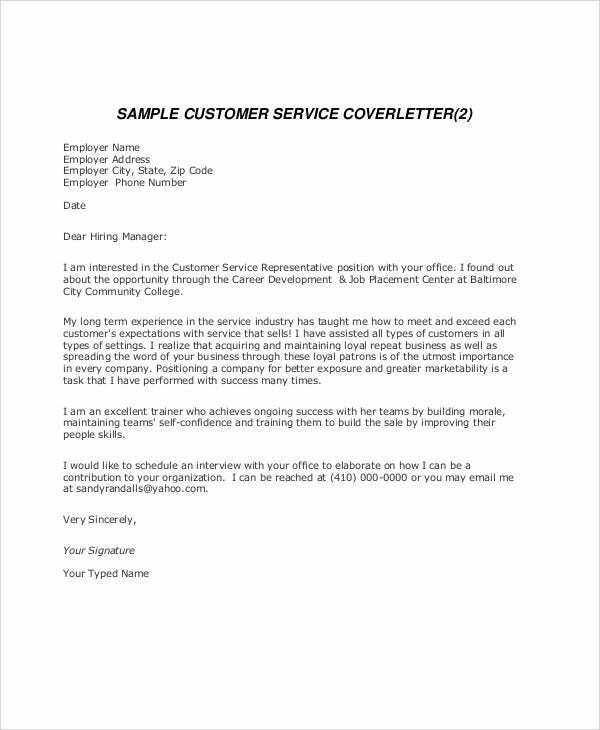 For a more convenient approach, you can use any of our Professional Cover Letter Template and Cover Letter Templates in Word as a guide.